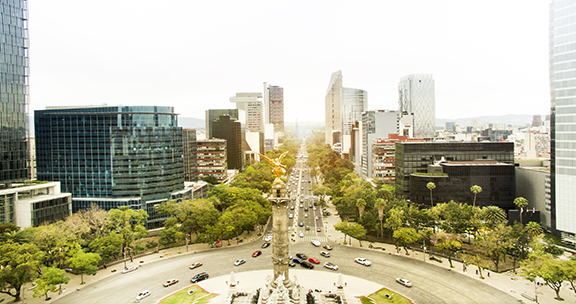 The 27th Annual General Meeting of CANENA will take place in Mexico City, Mexico, on February 27 and 28, 2019 at the Maria Isabel Sheraton Hotel. When NAFTA came into effect 24-years ago, it lifted tariffs on the majority of goods produced by the signatory nations. A free trade area however is not a common market, the latter allowing for the unchecked movement of goods. This meant that goods entering the trade area would need to comply with national laws and technical regulations. Having identified the potential for differing technical regulations and standards a threat to the vitality of the electrical industry, the industry set about to address it by creating CANENA. CANENA provides the means to extend the national model of self-regulation through voluntary industry efforts to develop electrotechnical safety standards in collaboration with the stakeholder community. NAFTA has been modernized and renamed as the U.S.-Mexico-Canada Agreement or USMCA. Agreement on USMCA was reached after undergoing more than a year of multilateral talks and corresponding national consultations. National leaders have hailed it as a win-win-win and on November 30, 2018 signed the trade deal at the G-20 Leaders’ Summit in Buenos Aires. The next step is for each country’s national legislatures to ratify the USMCA. While USMCA maintains NAFTA’s core of duty-free trade between the three countries, CANENA members will soon discover how the modernization will benefit the electrical industry. The program for the 27th Annual General Meeting of CANENA will focus on what role CANENA may play in this new regional and international landscape presented in the USMCA. The first day consists of a distinguish panel presenting and answering questions on the “USMCA, trade modernization explained” to be moderated by CANENA Ambassador-at-Large Ing. Rafael NAVA. Invitations have been extended to Graciela MARQUES COLIN (Minister of Economy), Jennifer STRADTMAN (Director, Technical Barriers to Trade, USTR), Gordon GILLERMAN (Director, Standards Coordination Office, NIST) and Guy BENJAMIN (Canada Vice President). Following the panel will be two breakout sessions where participants will have the opportunity to elaborate on the panel discussion aimed at focusing the future direction of CANENA, identifying which international standards to tackle and see how best to coordinate those efforts. The theme of the second day is “CANENA approach in regards of a new frame USMCA”. Panel moderator is the distinguish Edgar Ubelode (Conductores Monterrey, Retired). Mr. Ubelode professional carrier includes advising the Mexican Government of free trade agreement negotiations. The panel will comprised of industry representatives speaking on behalf of CANAME, NEMA and EFC. $390 CANENA members/dues exempt members. Includes all meeting sessions, continental breakfast and lunches and the President’s Reception. Note: American Express, VISA, and MasterCard accepted for online registration. A $7.89 USD transaction fee will be added for online registrations. The CANENA Executive Committee sincerely hopes that you will be able to join us in Mexico City. Should you have any questions, contact Joel Solis.